Supper after dance, supper for NUS students! 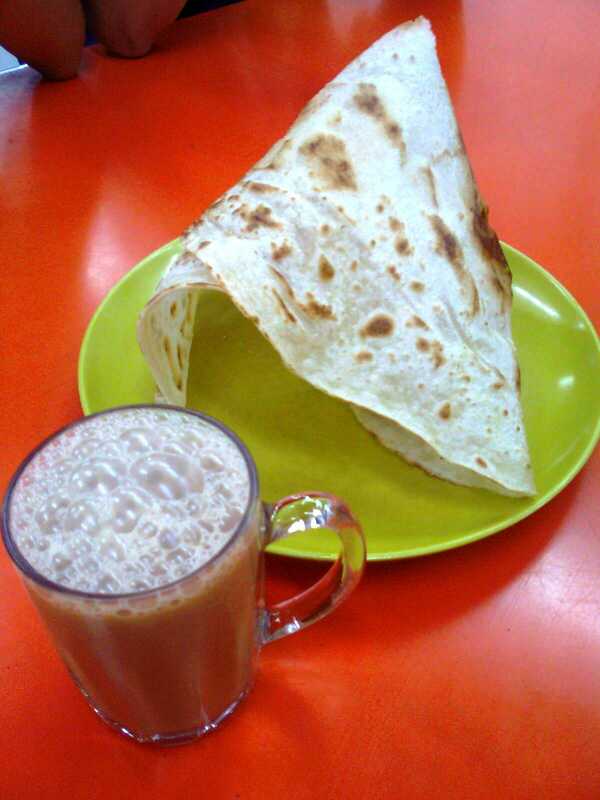 - Normal prata: just normal? I don't know what else to say haha. - Murtabak: had a cheesy chicken one, tasted good and was hot! 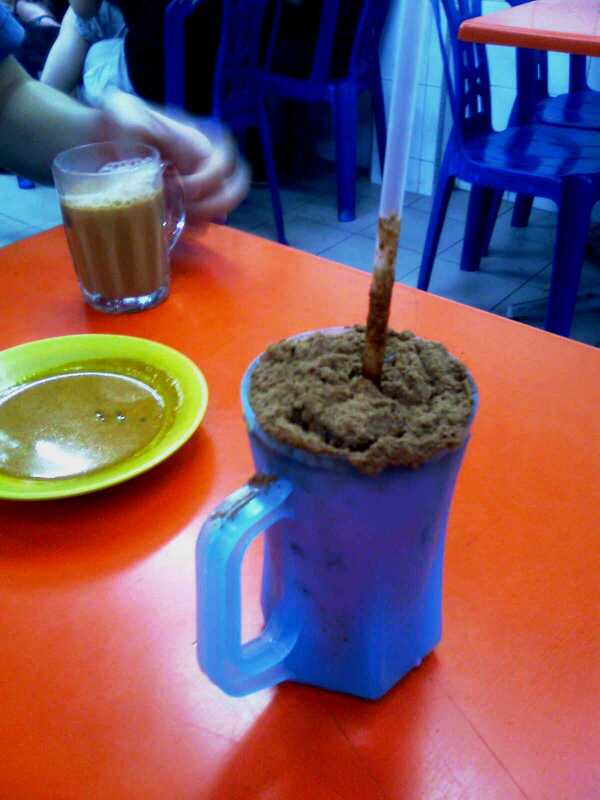 - Teh tarik (next to tissue prata): lots of bubbles, looks kinda cool but taste the same as a normal one. - Bandung dinosaur (in the blue cup above): bundang is this nasty pink looking, perfume tasting rose syrup drink. The first time I had it I couldn't take more after the first few sips, but since then I found the taste to be more acceptable. Anyway, the bundang dinosaur is just the drink with a scoop of milo - weird combination but quite tasty.